Just opened my Etsy shop. 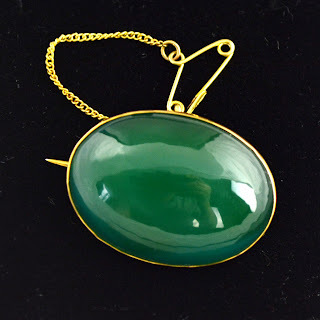 Ill be selling a range of good quality antiques and jewellery so feel free to check it out. I havn't got too much on there yet but hope to add all my stock in the coming days. 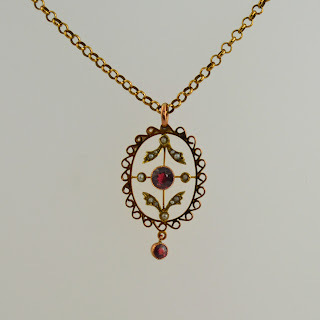 A super Edwardian period pendant which is made in 9ct gold and set with Bohemian garnets. 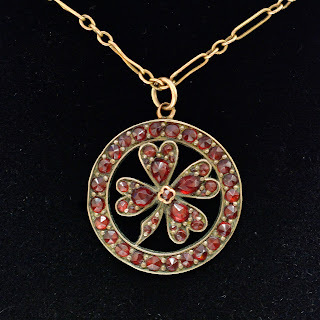 There is a shamrock set inside a circle decorated with beautiful red translucent stones. 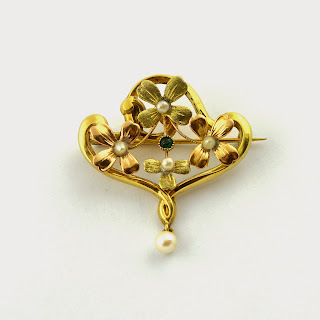 The back is solid gold. 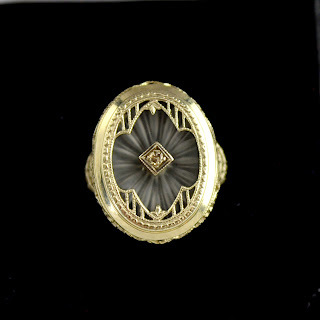 Here is a superb Art Deco period ring which features a magnificent pink rock crystal with center diamond.The 14 carat white gold ring has been well crafted with amazing filigree pattern of scrolls and flowers to the shoulders with further detail around the mount.